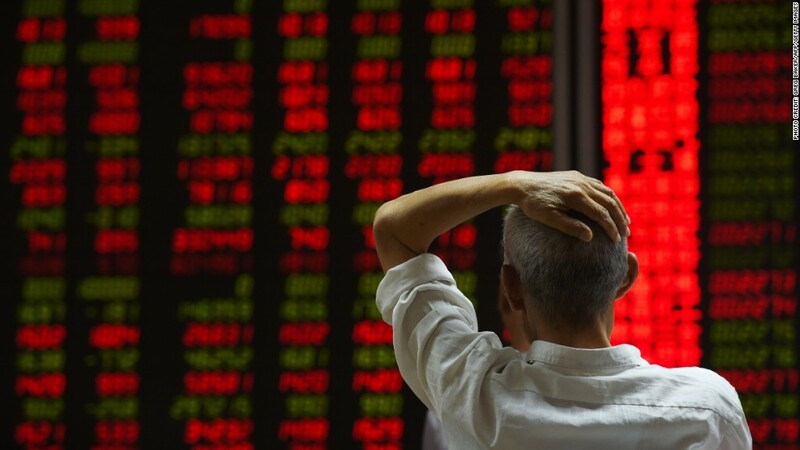 Expect the Chinese government not to sit still when its financial markets are falling apart. If there is "systemic risk to the financial system, we must take action," China's Vice Finance Minister Zhu Guangyao told CNN in an exclusive interview Friday. Zhu's comments came after two weeks of extreme turmoil in the global stock markets, particularly in China. The key Shanghai stock index has plunged more than 40% since June and erased all 2015 gains. The backdrop is that the Chinese government has been especially active in the financial markets lately. Just two weeks ago, the country surprised the world by allowing the yuan to devalue. It propped up its markets by actually buying stocks a few months earlier. And this week, as its stock market tanked, the People's Bank of China cut its key rates for the fifth time in just nine months in an effort to keep money flowing in its financial system. Zhu defended these actions, saying China was not alone in acting to support the financial markets. He cited similar actions by the U.S., U.K. and other countries. He said the Chinese government had followed the "three T" principles: timely, temporary and targeted action. "We thought we achieved the target, and timely intervention made panic basically be controlled," he said. "We really believe in ... time, the market will be back to the normal track." Zhu was speaking with former Australian Prime Minister Kevin Rudd, who was guest hosting CNN International's Amanpour show. Related: China contagion: How it ripples across the world. He said the Chinese government believes the yuan "should be included" in the IMF's Special Drawing Rights basket, an elite group of currencies used to value reserve assets. The IMF is currently reviewing the yuan for possible inclusion in the group -- which includes the dollar, euro, British pound and Japanese yen. Official results are expected later this year. "We do believe China's currency should be included in the Special Drawing Rights of IMF basket currency," Zhu said. He said that the IMF has two key criteria in determining what currency should be included -- trade volume and a freely used currency. "China [is] already the number one in global trade partner to the other countries," he said. But he acknowledged, "We know that... some things need more effort. We will continue our financial sector reform." Related: China's stock market crash...in 2 minutes. Zhu defended China's latest economic growth numbers. He described "the new normal status" of the Chinese economy as "relative" high growth. He said there would be more emphasis on restructuring the economy and sustainable development, along with innovation-driven growth. "We hope that in the next five years the Chinese economy will keep this potential growth rate at about 7-8%," Zhu said.